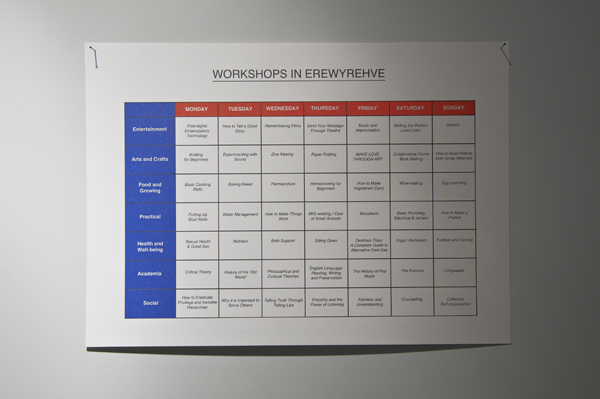 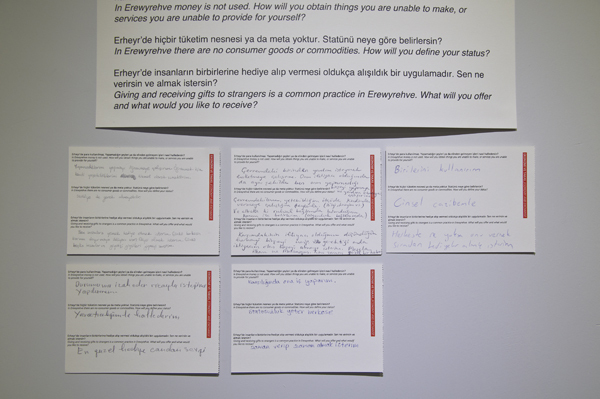 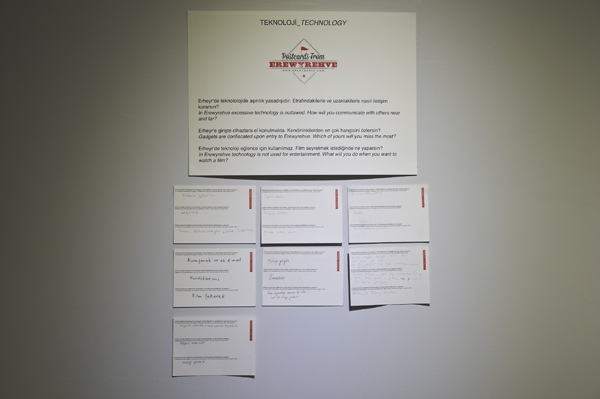 At the end of January 2013, postcards featuring questions from the Erewyrehve questionnaire were distributed around Istanbul. 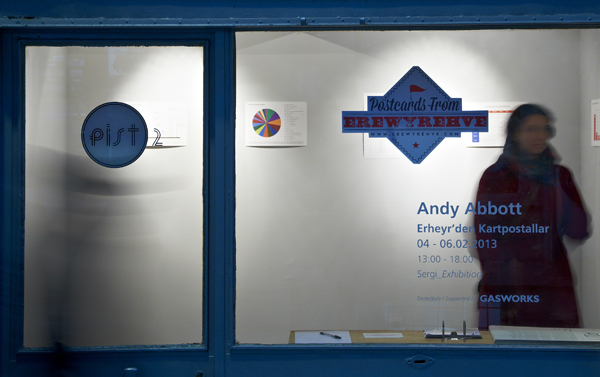 Once completed they were delivered to PiST///. 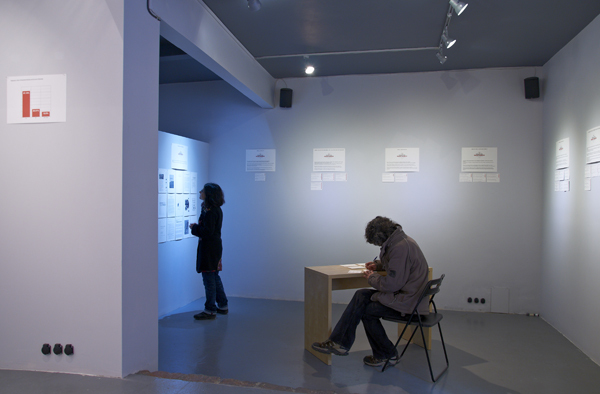 Submissions were also made online or sent by email. 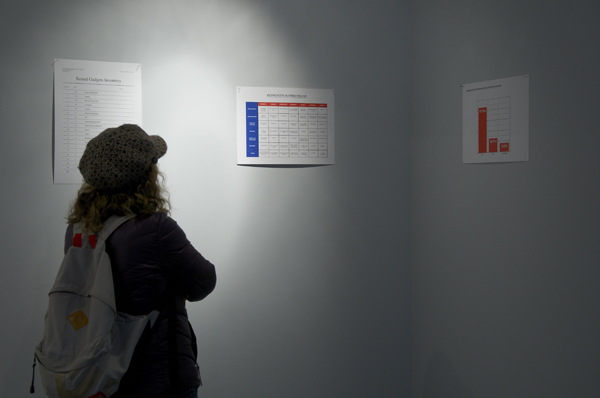 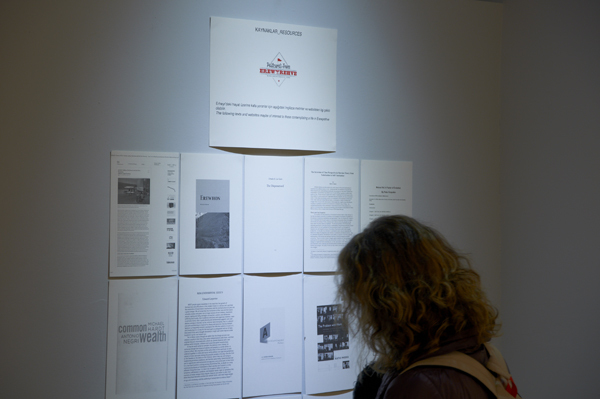 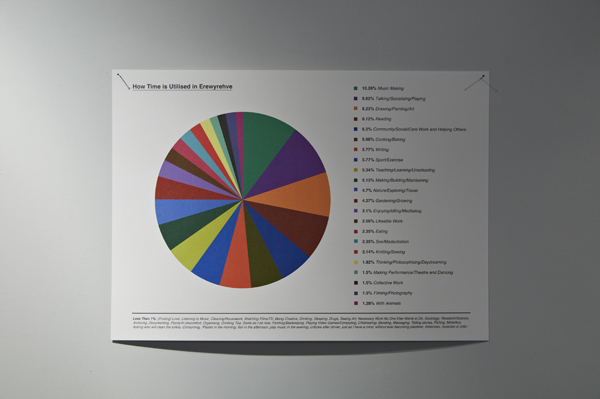 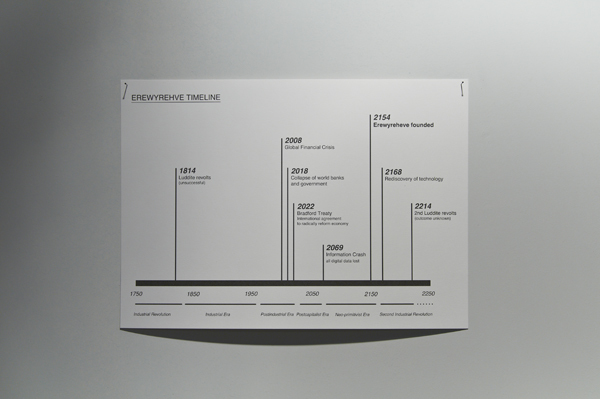 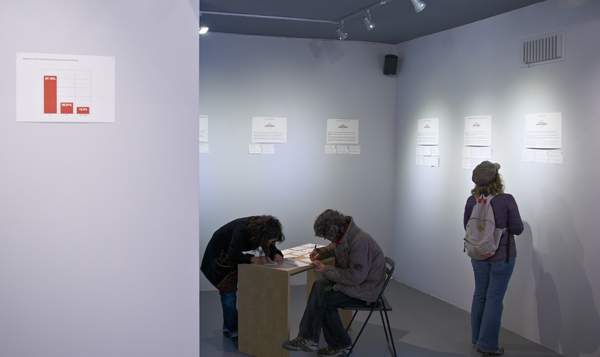 The postcards were displayed as part of a temporary audience-generated exhibition and documented to form a publication.